It is now easier for the Citizens to view their toilet visit statistics, and adjust their habits accordingly. 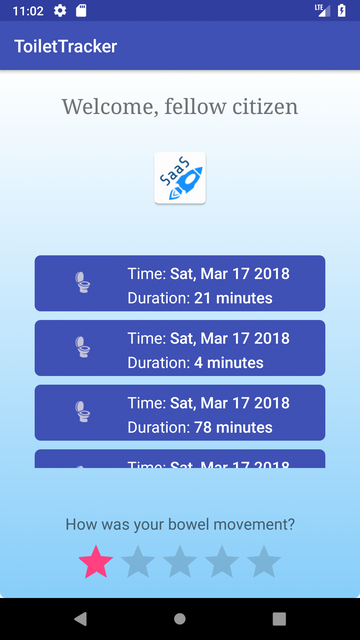 In the SaaS mobile application, a list of all their toilet visits is shown, and they can also rate their latest bowel movement. All this is shown in an amazingly shiny interface. For this, SaaS apply for the [Shiny pixels] badge.